MOST is a web resource for practitioners and providers of out of school time (OST) interventions to support improved educational and social outcomes for children and young people, especially those living in disadvantaged circumstances. MOST is founded on the belief that OST programmes have significant impact on the lives of young people. While such programmes can be complementary to what happens to young people in their schools and family contexts, they can also give them opportunities which are often absent or unavailable in these contexts. There is growing evidence of the positive effects of OST interventions for building self esteem, enhancing interpersonal relationships, improving school attendance as well as meeting basic human needs for belonging, for care and for identity. 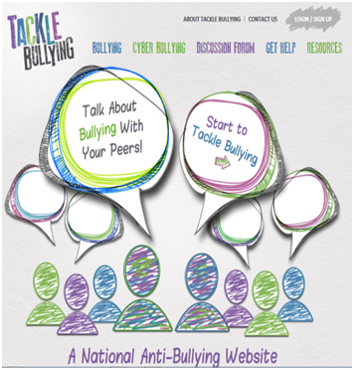 The MOST site is organised by AGE groupings and by RESOURCES, and it’s in this latter category where you will get access to current thinking, programming, issues and tools as well as links to service providers. Please note that MOST does not provide data on the value and importance of sporting or broadly recreational out of school time activities. 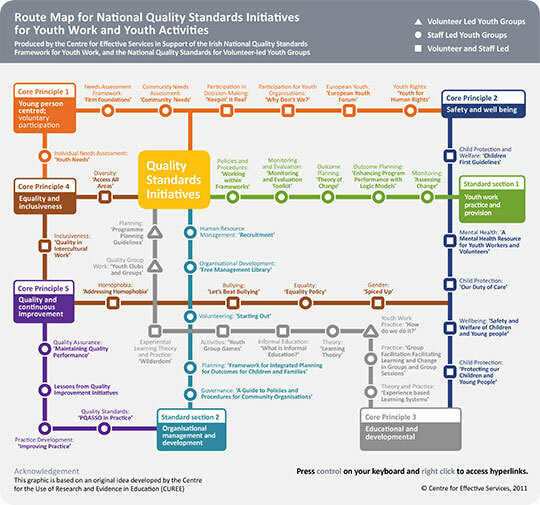 An interactive online resource, or Route Map, has been developed for the Department for Children and Youth Affairs (by the Centre for Effective Services) to support the implementation of the National Quality Standards Initiatives with very useful links to national and international sites and resources.